"Born in Russia where he studied fine arts. Rinat Shingareev shows an interest in portraying prominent figures marking the time. 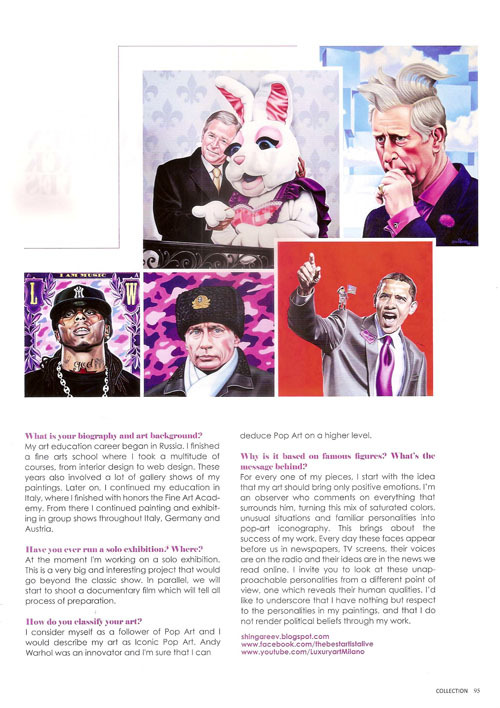 Through provoking colorful oil on canvas images, he features world politicians, artist, sport champions, while recalling their path from a point of view that would be even shared by millions the world over."